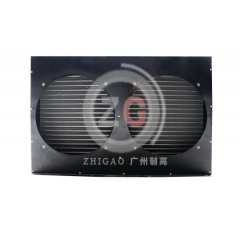 1.Due to quality copper tube and alumlum fin used, it achieves a high heat transfer coefficient. After treatment of oil removal, rust removal, phosphating, passivation, spray coating and drying, the casing enjoys excellent corrosion-proof performance. 2.Reasonable design of product stucture and strengthening treatment of all suported and boards contribute to duration and simple installation. 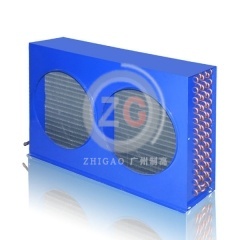 3.Automatic molding process ensures dry and clean interior of the copper tube. 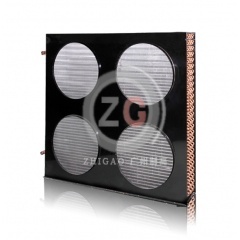 Close conjunction of aluminum fin and copper tube achieves a good effect of heat transfer. 4.Loop design prevents pressure loss as possible. Multi-loop cross-spread contributes to better heat dispersion effect. 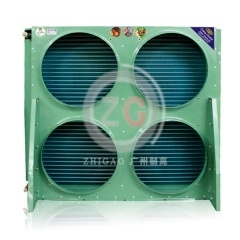 5.Famous branded fan at stable quality adopted endow excellent heat dispersion and low noise(V-shaped condenser). 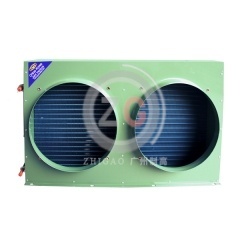 6.Having passed 2.6mpa air tightness test, the coil satisfies the requirements for tightness. 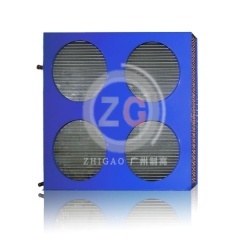 7.Full rang of product specifications satisfies heat dispersion requirements from compressors with various powers. 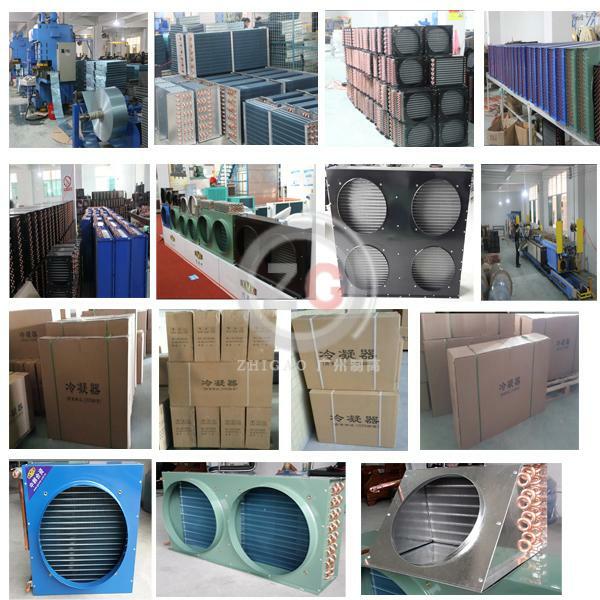 8.Customized service(specific material, space) is available, the product is widely used in refrigeration unit, cold storage unit and industrial refrigeration unit.